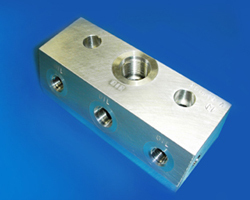 Mill Mike Mfg.has provided precision machined part for many years. We utilize only high quality, state-of-the-art equipment and systems to exceed customer expectations. Our #1 goal is total customer satisfaction through a philosophy of continuous improvement. We are committed to delivering the highest quality parts achievable and most importantly,delivering the products to our customers on-time. Mill Mike Mfg. is a SBA 8(a), HUBZone, WBENC, Certified Woman-Owned Business holding manufacturing certifications in AS9100C and ISO 9001:2008.